“What do music therapy sessions with adolescents look like?” This is incredibly challenging to answer. Considering how many different populations exist within the adolescent demographic, it is unlikely that two sessions look alike within each population. 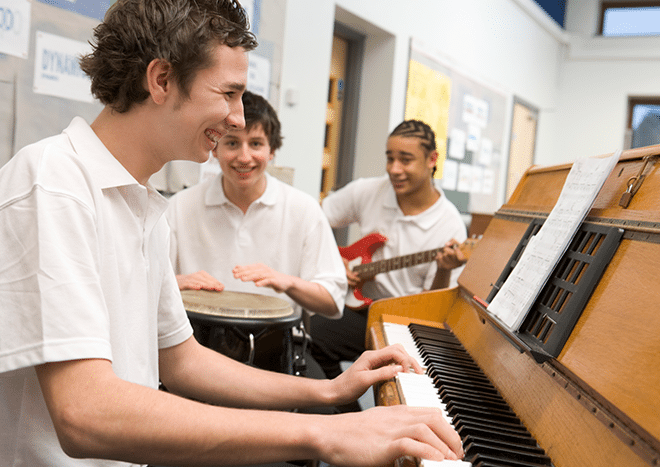 MusicWorx music therapists provide individual and group sessions for teenagers through various intervention mediums like active music-making, songwriting, music and movement, lyric analysis, and other evidence-based therapeutic techniques. We individualize programming to each individual or group based on the needs of the client. See how you, your loved one, or your facility can embrace music therapy as a treatment modality.